One of the first places to start when adding smarts to your home is light bulbs. Trading traditional for smart bulbs is an easy way to add a bit of technology to any room in your house and, if you have an Amazon Echo or Google Home, picking up a set of smart lights is an absolute must. Being able to use a connected speaker to control the lights in your house is both practical and fun, and once you experience it, you’ll never want to flip a switch again. But what smart bulbs should you buy? There are tons of great choices on the market, but a lot of them can get quite expensive. One option I’ve used for the past few weeks that is a great mix of affordability and value are Sengled’s Element bulbs. 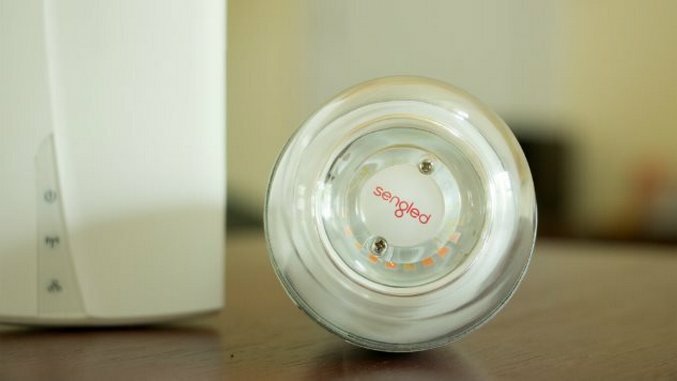 Sengled is a company you may have never heard of, but they’ve been using the newfound opportunity provided by the rise of smart home tech to create numerous interesting products. The company not only offers the typical smart bulb package, but also lights with built-in cameras that double as security devices and ones with speakers to work as a hybrid lighting and entertainment system. Those may strike you, as they did me, as over the top but the core of those products, and the company, is the smart bulb, and Sengled does it really well. I’ve been testing the Sengled Element Plus starter kit, which comes with two Plus light bulbs and a hub for $59.99, though it’s currently marked down to $49.99. That price is already good compared to the competition, but what I really like is how add-on lights don’t up the cost significantly. If two bulbs isn’t enough to get you started, you can get another Plus light for roughly $18 (currently discounted 30 percent to $12.59). All of it works out to the Element Plus being less expensive overall than Hue’s cheapest A19 starter kit, which is a $70 initial investment, plus $15 per extra light. If you want to get your house lit up as affordably as possible, Sengled offers its own entry-level A19 kit, which is ten dollars cheaper than the Element Plus at $49.99 and $9.99 for additional bulbs. Often, when talking about affordable tech products, the big question is what you get for your money, and whether the products are actually significantly worse than their pricier counterparts, thus saving you money at the outset but costing you in the long run. With Element Plus, there are a few tradeoffs the user has to make, but none of them signifcantly affect the user experience. The first, and most obvious, is the fact that these are not color lights, like with Hue’s premium kits. You can change the color temperature, but if you’re looking to add ambient mood lighting with various colors, Element won’t cut it. The second tradeoff applies specifically to Google Home owners. Sengled’s lights can be controlled by your voice, but they only work natively with Amazon’s Alexa platform. In order to control the lights with Google Home, you have to use Stringify, an app that is similar to IFTTT. It’s not terribly complicated and only took me about 5 minutes to set up the Flows needed to make everything work, but the experience is far clunkier than with an Echo. The final tradeoff comes courtesy of the Element hub. It plugs directly into the wall, instead of having a separate power cord. This is only a minor annoyance, to be sure, but having the power connector directly attached to the hub, which is rather tall, meant I had to find a plug in my apartment to dedicate it to. This might not bother you at all, but I would prefer a hub with a little more freedom, like those that come with Philips Hue. Outside the lack of color support, which could be a dealbreaker for certain buyers, all the issues mentioned above I would categorize as minor. They did little to affect my experience using the Element lights which, given their price bracket, are a truly great value. The Plus bulbs surprised me with their heft and top-notch construction, seeming up to the task to last the 20-plus years Sengled rates them for. The light produced is bright, vivid and with great reach. I have them in my kitchen, where they took the place of three standard bulbs and, despite offering one less source, the Element bulbs had no trouble washing the area in light. In fact, Element is brighter and covers more area than the standard light setup I had before. The Element app could use a facelift, but it’s speedy and intuitive to use. You can put the lights on a custom schedule, so they turn on before you get home after work, or mimic the sunrise to wake you up comfortably in the morning or anything you want. Element also shows your energy history, displaying the amount of savings you amass, including real dollar numbers over the course of your time with the bulbs. Finally, the app will show you how much CO2 is emitted by your stable of lights. This might seem like an odd inclusion, but one of the cool things Sengled does is that, for every bulb you purchase and register with the app, the company will plant a tree to offset the CO2 produced by the lights. Users can choose where in the world they want the trees planted, and the app will continually update them on how much CO2 is produced by the lights and absorbed by the trees. It’s a nice, environmentally-friendly touch that separates Element from the rest of the smart light pack. If you’re looking for an affordable way to get into the smart light arena, or maybe a fun Father’s Day gift that won’t break the bank, check out Sengled’s Element. There are certainly tradeoffs to be made, but not in any areas that count in the long run. The bulbs are made well, work well and don’t force you to bend over backward to pay for them, making them one of the best value buys in smart home tech today.